Janet Wootton has recently retired as Director of Studies for the Congregational Federation, now managing the course on which she has served as tutor in the Hebrew Scriptures and Biblical Languages, alongside her pastoral ministry, since the 1980's. She was minister in rural and inner city churches for almost 25 years, ending with 17 years at Union Chapel, Islington. Here, the church developed a wide-ranging arts and community programme, including work with homeless people, a great variety of ethnic communities, as well as performances by world class musicians. During that time, she was chair of the London churches homelessness organisation, UNLEASH. 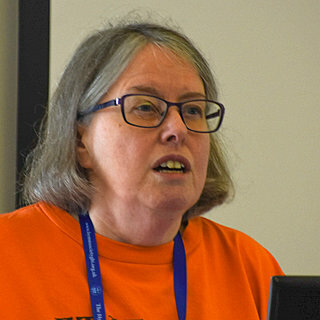 Janet is editor of Worship Live, part of the editorial team for Feminist Theology and chairs the International Congregational Theological Commission which publishes the International Congregational Journal. She has written and lectured on worship, mission and social issues. Her book, This is our Story, a collection of essays and stories about Free Church women's ministry was followed by a book on the contribution of women to hymnody in 2010. Her collection of hymns and other writing for worship, Eagles Wings and Lesser Things was published in 2007. Martin Leckebusch (b. 1962) has been a Christian since his teenage years. He has worshipped in Pentecostal, Methodist, Anglican and, currently, Baptist traditions. During the past 30 years he has written over 500 hymn texts, most of which have been published in author collections. He is a mathematics graduate, works in IT, and lives with his family in Gloucester. Among other interests, he enjoys music, reading, crosswords and curry. 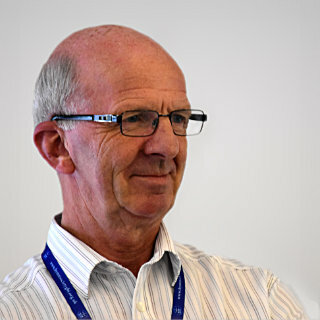 Revd Robert Canham was born and grew up in Chelmsford, Essex where he worked in the family Builders' Merchants for and became Managing Director. 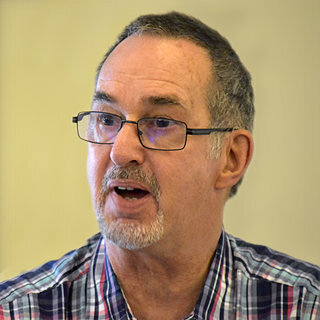 He was ordained as a minister of the United Reformed Church in 1985 and has served in pastoral ministry in Chelmsford, Brentwood and Ingatestone and, latterly, Lancaster. Robert married Jenny in 1970 and they have two sons. 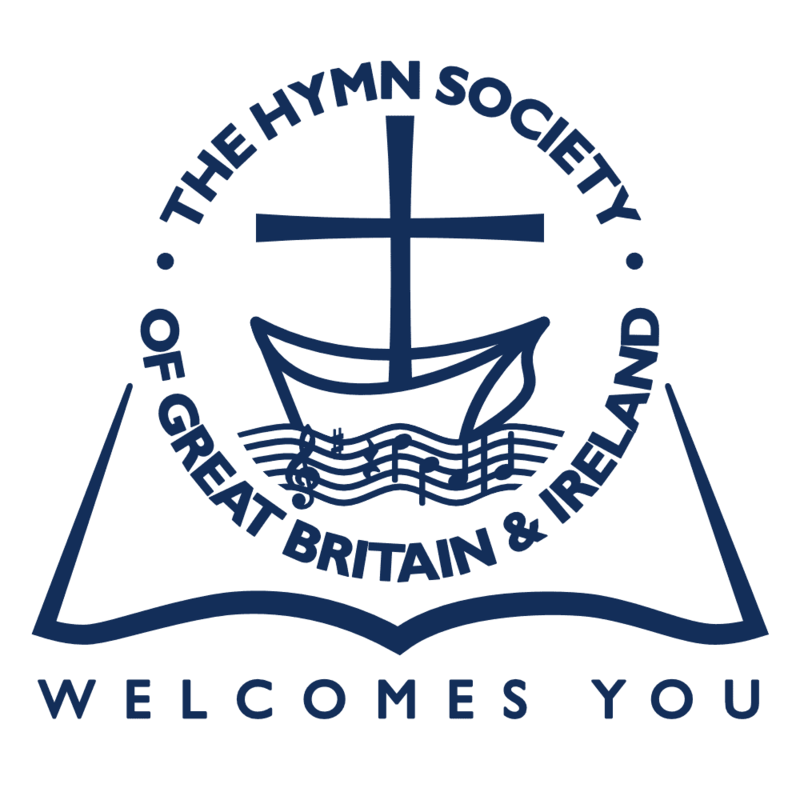 Robert joined The Hymn Society in 1994. 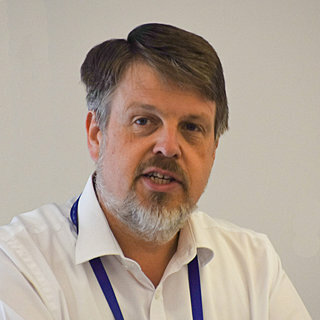 In 2000 Robert became a member of the Executive Committee and in 2002 he served as Chaplain to the Leicester Conference. In 2003 he was elected Honorary Secretary of the Society. Robert is also a Trustee of The Pratt Green Trust. Apart from hymns, Robert's passions include butterflies and their conservation, his two Labrador dogs and listening to music. Robert retired in 2012 and he and Jenny (and the two dogs), now live in the Lake District where they enjoy walking. Revd Canon Michael Garland studied Theology at St David's University College, Lampeter and was ordained in 1973. Following curacies in Swansea and Sutton Coldfield, he became Vicar of Kingshurst (Birmingham Diocese) in 1979. In 1988 he became Rector of Curdworth and Minworth. Since 2003 he has been Vicar of St Mary's Charlton Kings. Michael's interest in hymns began at an early age when he joined the church choir. He became a member of The Hymn Society of Great Britain and Ireland in 1977 serving on the Executive Committee for eight years before becoming Secretary of the Society from 1987-97. He served a further nine years as Treasurer (2000-2009) and in 2012 resumed that position again. A keen singer, Michael is actively involved with the Jubilate Chamber Choir in Cheltenham and with the Charlton Kings Choral Society. The Rev Dr Andrew Pratt is a British Methodist Minister and Hymn Writer. 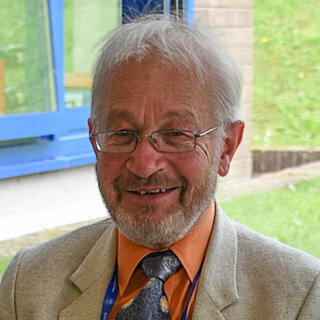 Born in Paignton, Devon, he studied Zoology at university, took a Masters in Marine Biology and then taught for seven years in secondary schools. He trained for the Methodist Ministry at Queens College, Birmingham serving in various Circuits in the North West of England. He researched the hymns of Frederick Faber for a MA and then completed a PhD on the Methodist Hymn Book (1933). His book, ‘O for a thousand tongues’ based on this research was published by the Methodist Publishing House in the United Kingdom in December 2004. He has written over 400 hymns and has had three published collections, Blinded by the Dazzle, Whatever Name or Creed and Reclaiming Praise (all by Stainer & Bell Ltd). He is a Tutor in Contextual Theology at Hartley Victoria College, part of the Luther King Foundation for Theological Education in Manchester, England, training people for Ministry. He broadcasts regularly on BBC Radio Merseyside. Other committee members serve for a three-year term. If elected for a further term, they cannot be reappointed for one year.